As mentioned, all food options are gluten-free, and according to the website, all are dairy-free as well (except for the charred sweet potato). Using their special diets screener, you can also select vegan, soy-free, and nut-free ingredients. The first bowl I made had a salad base with white beans and fennel as my vegetable additions. I opted for chicken as my protein and topped the salad off with salsa verde and hibiscus pickled onion. The bowl was vibrant in its coloring and each ingredient was generously portioned. 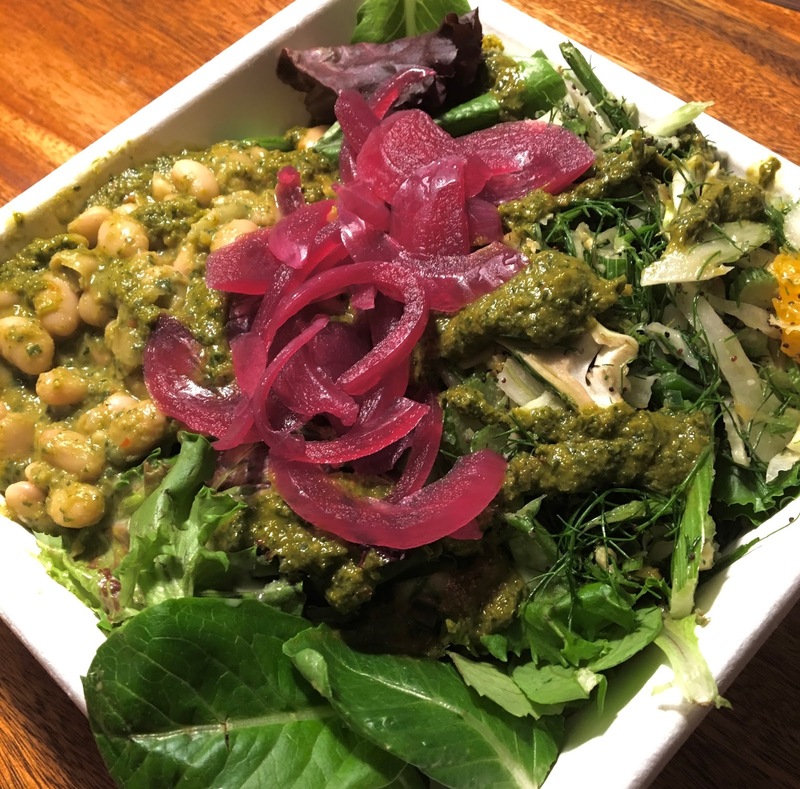 The standouts here were the two vegetables, as the white beans had a flavorful salsa verde sauce and the fennel was fresh and flavorful, enhanced by citrus notes from its accompanying lemon poppyseed dressing and orange segments. While those two were the standouts, there was a not a wink link among all the toppings, as all were delicious themselves and worked in tandem together as a bowl. On a repeat visit, my bowl featured a rice base, beets with lentils and bok choy as my vegetables, salmon as my protein and toppings of salsa verde, avocado white bean spread, and pickled hibiscus onions. 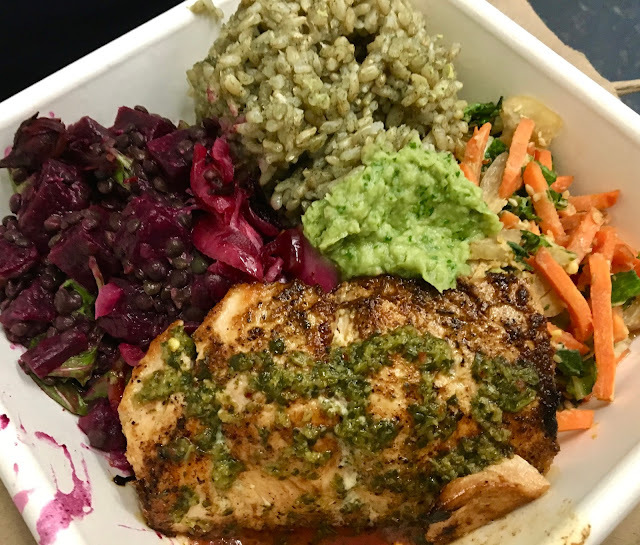 Here, the standouts were the beets and lentils, in their delicious citrusy-sweet marinade, the tender and fresh salmon, and the avocado white bean spread, which combined the flavor of guacamole with added plant-based protein. The two parts of the bowl I was not in love with were the brown rice, which was a bit overcooked and the bok choy, mainly because the sesame dressing contrasted noticeably with the other ingredients. 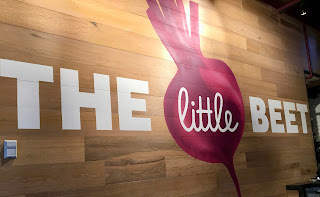 Although I miss some of the menu items that have disappeared from The Little Beet's new menu (the bahn mi rolls in particular), I'd say The Little Beet's focus on bowls allows them to go back to the basics to show off the delicious range of gluten-free eats. I enjoyed both bowls I tried, and stand by my belief that The Little Beet is one of D.C.'s best bets when it comes to eating out. Tourists and locals alike can rely on this restaurant to get bang for the buck with a healthy, satisfying meal. Special Feature: Order online here. 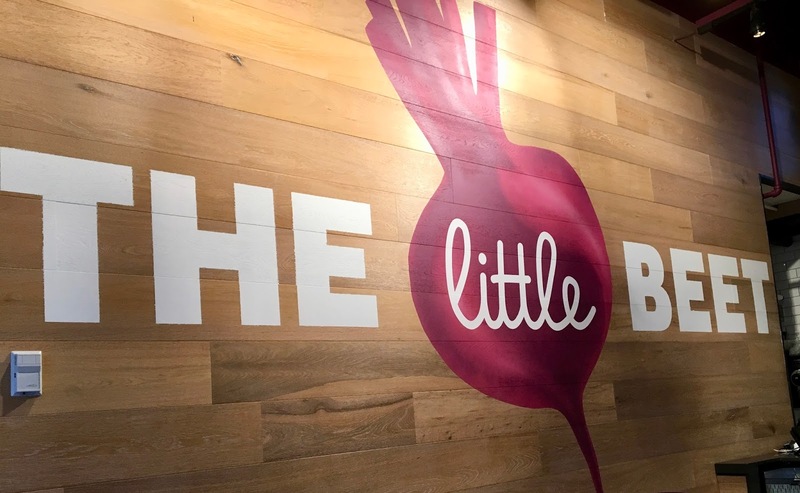 Order The Little Beet for delivery through Uber Eats and Postmates.